Due to technology advancement in the field of consumer electronics, products like TVs, laptops, desktops, cameras, projectors and other electronic products are getting cheaper day by day. We can get decent quality consumer electronics at the very cheap price. 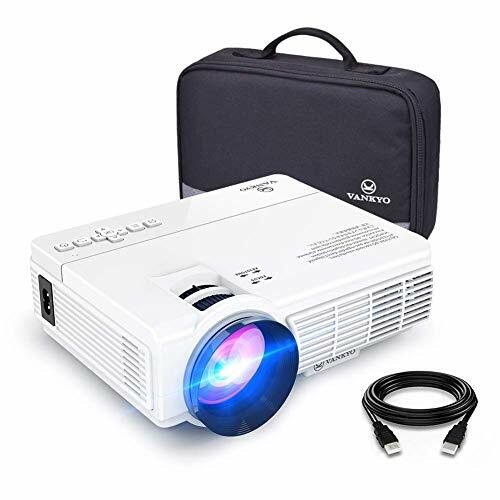 Sub $100 is a very good entry level price range for projectors, there are many projectors available in the market under 100 dollars price range. Sub $100 price range projectors are equipped with 80 lumens to 800 lumens brightness, native resolution starting from 320×240, LED lamp life around 20,000 lamp hours, contrast ratio starting from 300:1 and support any type of inputs like HDMI, VGA, AV, SD, and USB. 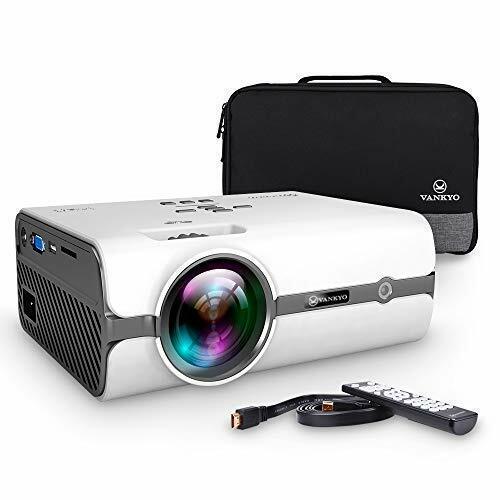 Here we have compiled the best projectors under 100 dollars list on the basis of Amazon customer reviews, many expert review sites, projectors price range $50 to $100 and projector features. You have $100 in your hand and you just want to casually try what it’s like using a projector. Doing that could have been possible only if getting a nice projector for $100 was that easy. But wait! The above-listed projectors under $100 to give you the freedom to invest casually into your first projector ever. First things first, the projectors with good lumen count in this range are Mlison Video Projector and Xinda LED Projector with 2000 and 1800 Lumen count respectively. 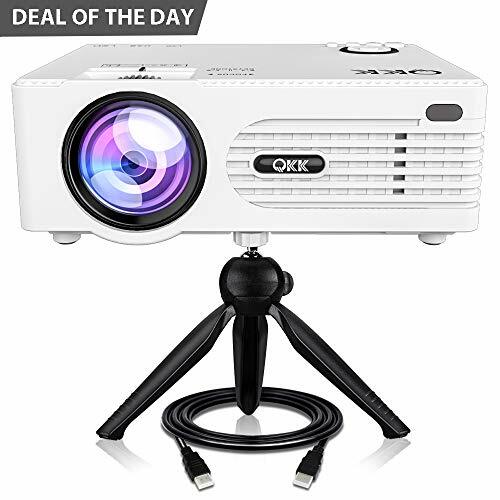 Mlison video projector is perfect for watching movies in low light, but it does have a good visibility in an outdoor light as well. The native resolution you have here is 800 x 480 which can be expanded to 1080p with mild distortion. LED lamp saves you energy to help you cut costs and it is endurant as well with 20,000 hours of lamp life. 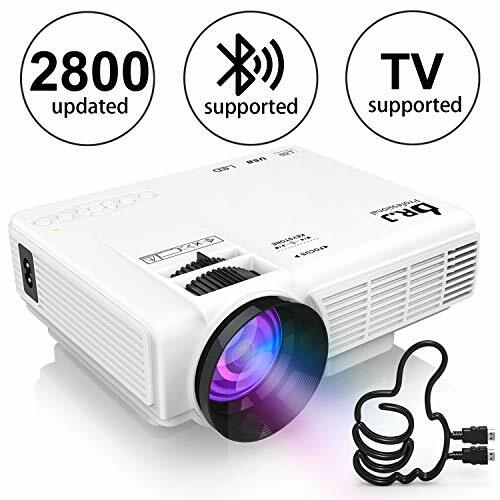 Smartphone connectivity is unfortunately not available in this projector, but then you can try the Xinda 1800 LED projector if you really want that, as it comes with MHL support. The native resolution is 800 x 480, here as well and the picture size ranges from 28”-180”. 1800 lumens of brightness with a 2200:1 Contrast ratio vouch for a reasonable picture quality. The machine also supports 1080p resolution, but we would recommend you to use it on a native resolution for a better experience. 5W Surround Sound eliminates the need for average sound quality speakers. However, don’t expect an overwhelming sound quality. 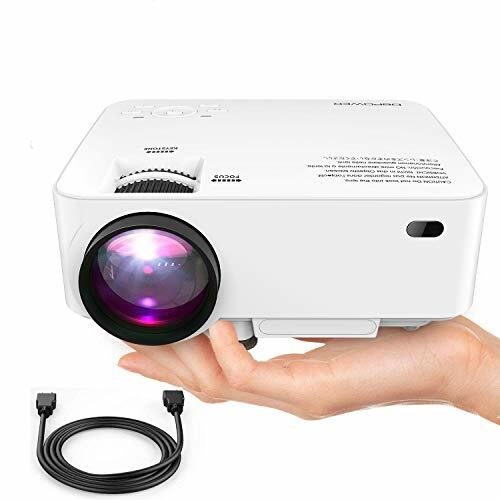 Meyoung Portable Projector with 1200 Lumens is neatly balanced by 1000:1 Contrast Ratio and the picture has a native resolution of 800 x 480 of size 50-130”. That’s all for picture quality. And just like any other projector on this list, this one also has HDMI, VGA, SD card readability, and USB connectivity. What makes it stand out is its Smartphone connectivity via MHL port. For great low-light picture quality, 1500 Lumens is enough. Keeping that in mind, we have listed Hausbell LED Projector and DBPOWER T20 projector as well. The Hausbell projector projects an image of size up to 220” with a Contrast Ratio of 10,000:1 (dynamic) and 600:1 (static). And make this projector your most preferred option for movies; it supports an aspect ratio of 16:9. And while it is ultra-light and consequently portable as well, you could use it even for your classroom or office presentations. The DBPOWER Projector, on the other hand, uses the LCD projection method and features 1500 Lumens of Brightness, chiseled by a Contrast ratio of 1000:1. Screen size is perfect for watching movies as it ranges between 32”-176” and can stream movies even from your smartphone via MHL connectivity.